19th Annual Youth Leadership Forum - Apply Now! 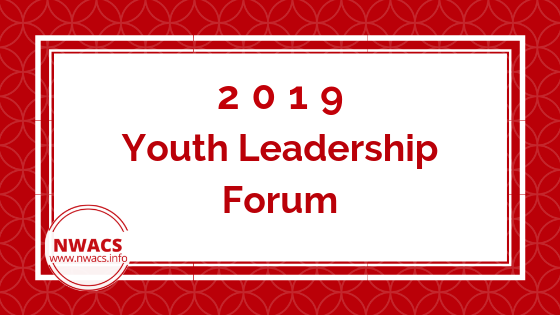 The Youth Leadership Forum (for high school junior and senior students with disabilities) is a project of the Washington State Governor’s Committee on Disability Issues and Employment - and they are looking for future community leaders! The 19th Annual Youth Leadership Forum for high school students with disabilities is a 5-night, 6-day leadership program. Students serve as delegates from their communities and cultivate their potential leadership, citizenship, and social skills, while gaining access to vital resources related to assistive technology, community support, and civil rights. This year the forum takes place August 4-9, 2018 at the Dumas Bay Centre (Federal Way, WA). The deadline to apply is May 30, 2019. Attendance at the Forum is at no cost to the student/family! You can download the application here (scroll down to Youth Leadership Forum; a flyer with more information is also available via that link). Please share with teachers, administrators, para educators, students, school districts, and other persons of interest. Contact program coordinator Elaine Stefanowicz at 360-902-9362 or estefanowicz@esd.wa.gov should you have questions.